PROGENEX Burn is a state of the art weight management and sports performance supplement specially designed to increase your body’s resting metabolic rate while shifting energy utilization from glycogen to fat stores. In short, Burn helps you use fat for fuel while maintaining the quick energy stores your body needs to train tougher and play harder. 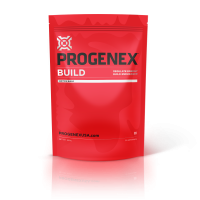 PROGENEX Burn is the first supplement based on Capsiatra (compound naturally found in sweet peppers), in the form of pop rock candy. Dihydrocapsiate is a non-burning and non-irritating compound found in specific sweet peppers. Generates calorie burn from the stored fat within the body. We all know that a healthy metabolism is key to maintaining or achieving a lean physique and enjoying more energy. PROGENEX Burn is formulated to increase your resting energy expenditure (REE) so you burn more calories throughout the day. Burn’s active ingredient, a compound known as dihydrocapsiates, naturally found in specific sweet peppers, has shown throughout more than 50 research publications to effectively increase fat oxidation, shift the body’s energy utilization from carbohydrates to fat, reduce anaerobic respiration in favor of aerobic respiration, and, ultimately, help users lean out. With an EU novel food approval, Burn’s active compound achieves all of this without side effects and without the burning, irritating feeling given by the spiciness in peppers. By activating receptors in the mouth, PROGENEX Burn increases your body’s capacity to use fat for energy, increases your aerobic work capacity, and reduces body fat. Featuring dihydrocapsiates, a naturally occurring compound found in sweet peppers scientifically proven to elevate resting energy expenditure, Burn efficiently shifts energy utilization from glycogen to fat stores. 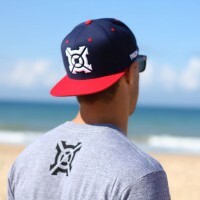 Your body burns fat for fuel while preserving glycogen energy for when you need it most—crushing your workout, your competition, or achieving your next personal best. Pop one pack per day first thing in the morning, pre-meal, or pre-workout and leave contents on your tongue until the popping sensation ceases. It’s probably the most fun supplement to take. Because the effects build over time, take Burn daily. For additional benefits, take up to three servings per day. 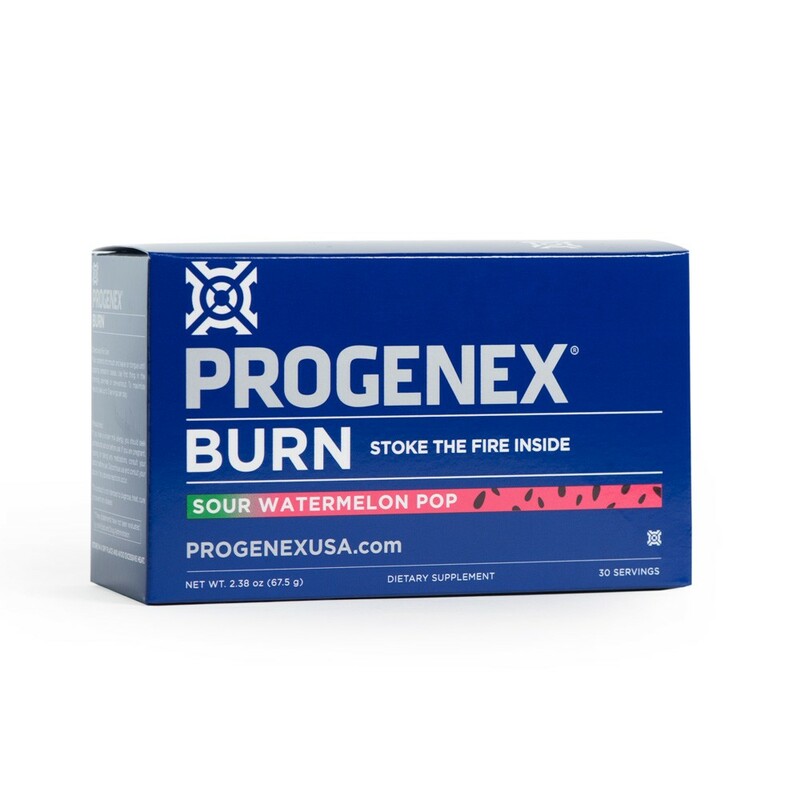 PROGENEX Burn comes in two delicious flavours - Watermelon and Cinnamon. As you already know, PROGENEX is known for the remarkable flavours. Try either Burn Watermelon or Burn Cinnamon and you will see the taste won’t let you down. What is Resting Energy Expenditure (REE)? Resting energy expenditure (REE) refers to the number of calories your body burns while at rest in order to maintain homeostasis. It’s a variable system that fluctuates to accommodate your level of activity – essentially, those who are more active enjoy a higher metabolic rate. But exercise as much as you may, REE represents the majority (60-70%!) of your total energy output. And starting at age 20, your REE declines at a rate of as much as 2% per decade. What is the difference between “capsaicin” and “capsinoids”? The most promising and well-researched botanically derived metabolism booster is found in chili peppers. The chili pepper compound known as capsaicin is what gives peppers their “hotness” but also boasts significant positive effects when it comes to shedding body fat: Studies show that long-term intake can increase fat oxidation and increase REE What’s more, newer studies show that capsaicin may also aid in suppressing your appetite, particularly during prolonged periods of burning more calories than you take in. So, why aren’t we all downing bucketloads of chili peppers every day? Well, not only would it send many of us screaming to the fridge frantically searching for a gallon of milk to stop the burning, capsaicin can also contribute to an increase in heart rate and blood pressure. And if you’re a little overweight already and battling hypertension, that’s the last thing you need. Looking deeper into the bioactive compounds of chili peppers, a group of Japanese investigators discovered substances produced by certain strains of chili peppers that are structurally similar to capsaicin but fortuitously different in certain regards. Known as capsinoids, these substances stimulate thermogenesis and lipolysis (increase energy expenditure and fat melting) but are approximately 1,000 times less hot than capsaicin! Additionally, as they pass through the GI tract, capsinoids are hydrolyzed and converted into inactive conjugates that pose no threat of causing systemic side effects – no accelerated heart rate, no elevated blood pressure, no problem. 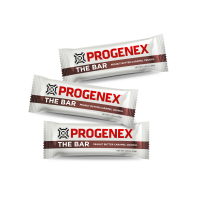 Why did PROGENEX choose to make this product in the form of “pop rocks”? 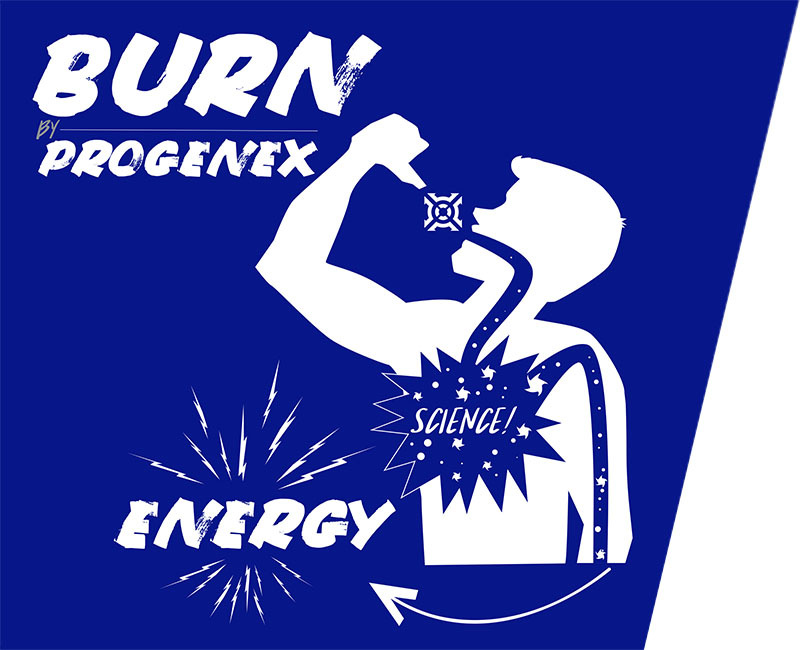 PROGENEX Burn is delivered in the form of “pop rocks” so the compound has sufficient time to reach the receptors in your mouth that trigger your sympathetic nervous system to ultimately set off the above desired mechanisms of action. How fast will I feel the effect after taking BURN? You’ll notice some of the oral sensation of the dihydrocapsiate stimulating sensors in the mouth, but most people won’t recognize it with all the popping going on. This isn’t a product where you will “feel” much in particular, although it’s suggested that it will help you feel warmer on a run in the cold. It’s a product that you should take every day to maximize both the fat-loss and performance benefits. The effect of up-regulating UCP-1 and UCP-3 will happen with each dose and you should notice the endurance benefit, either by the ease an activity feels or if you are tracking it with a heart-rate monitor you’ll see increased work with less effort. No side effects were noted until this moment in practice or in the scientific literature. Is this product safe if I suffer from stomach problems (eg gastritis) or if I have an allergy to peppers? No problems were noticed up until this moment, no allergy triggered by the product so far, but if you suffer from a specific condition stomach related or pepper allergy, we advise you to check it with you physician before using it.